FASTING DIETS. NOT SUCH A GOOD IDEA AFTER ALL? If you’re a fan of fasting diets you may be in for a shock. In the past few years intermittent fasting has gained popularity for its dramatic effect on weight loss. But new evidence suggests that fasting diets like the 5:2 could be seriously damaging for your health. A study by The European Society of Endocrinology has discovered that fasting diets damage the way insulin works in the body and raise the risk of developing type 2 diabetes. Furthermore, people who are overweight may already have insulin resistance and will only worsen their condition by fasting. Scientists put rats on fasting diets for three months. Although they ate less food, the fat around the rats’ bellies increased. The fasting also damaged the cells of the pancreas that release insulin, inhibiting their ability to produce insulin, and increased the levels of free radicals in the body. BUT I THOUGHT FASTING WAS GOOD FOR ME? The long term effects of the 5:2 diet, which encourages you to eat properly for five days and restrict your calories on two, were previously unknown. Fasting is popular because of the dramatic weight loss experienced in the first few days. But now we know that damage is done in the long-term. 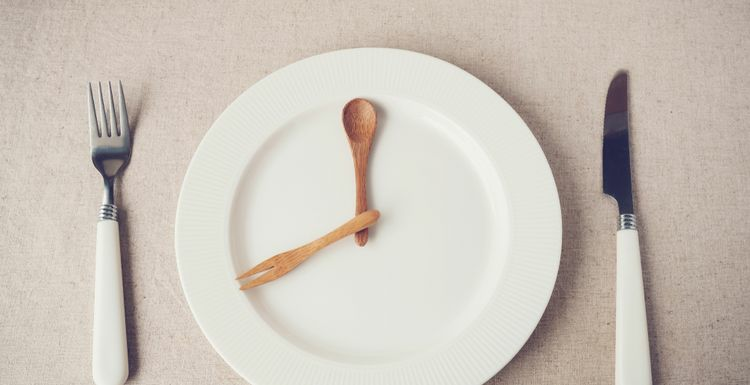 Previous research has also demonstrated that short-term fasting can create the highly-damaging free radicals which are linked to cancer risk and accelerated ageing. I STILL NEED TO LOSE WEIGHT - WHAT DIET SHOULD I FOLLOW INSTEAD? First, avoid all fad diets. In fact, you don’t even need to ‘diet’. Instead, focus on eating as much unprocessed food as possible such as wholegrains, fruit and vegetables, yoghurt, lean protein and healthy fats such as those on the Mediterranean diet. These foods will keep you fuller for longer and come with a multitude of other health benefits too. Add in some regular workouts, particularly calorie-torching HIIT, and you’ll start to shed excess weight naturally, and without any long-term damage. And, unlike fasting, you get to eat delicious everyday and never be hungry – it’s a win-win situation! People have been fasting for thousands of years without any issues - I really think we need to consider the benefits alongside the newly discovered disadvantages. I knew it! Basically, any diet that's not a natural way of eating is going to do unnatural things to our body. I'm glad that this research has been done and I hope that more people will embrace a normal way of eating real food, exercise regularly and realise they can just lose weight that way. hate to say it but I'm glad to hear this - I've got an office full of intermittent fasters and the '2' days are hangry hell. Eat something, people!